It's time for yet another iSource giveaway, this time courtesy of Winner Gear! Up for grabs are five MONTAR car mounts. We're also allowing up to two entries for this contest, so click right in and find out how you can be one of the lucky winners! Time for another awesome giveaway! Starting today, we’re running a contest for (5) MONTAR Car Mounts from Winner Gear. The Montar will hold any device with a screen size up to 5.3″ wide with secure rubber grips that prevent scratching and allow for easy, one-handed quick install and removal of your device. The strong, spring-loaded arm firmly keeps your phone in place until you want to remove it. The rubber-coated arm that surrounds your phone can be rotated a full 360 degrees, and held in position by an adjustable neck at the base of the mount. While in use, all your ports and buttons are still fully accessible, allowing you to still charge your phone and attach earphones at the same time. For this contest, we’re allowing our readers up to two entries. As usual, leaving a comment on this article gets you entered. To get an additional entry, post a picture of you with your vehicle (or even just your vehicle, if you prefer) on Instagram with the following hashtag: #iSourceMontar. If you’re planning to submit two entries, you need to include your Instagram username in your comment on this article. This contest is open to worldwide residents. We’ll draw our winner on Monday (12/09/13) sometime after 10:00pm US Eastern time. Special thanks to Winner Gear for their generosity! Looks like an amazing product with a suction cups that actually works! Would love to win. Thanks to iSource and Winner Gear for the awesome giveaway. Count me in! I have had something like this on my wish list for a while. Heads up display for the road. Awesome. 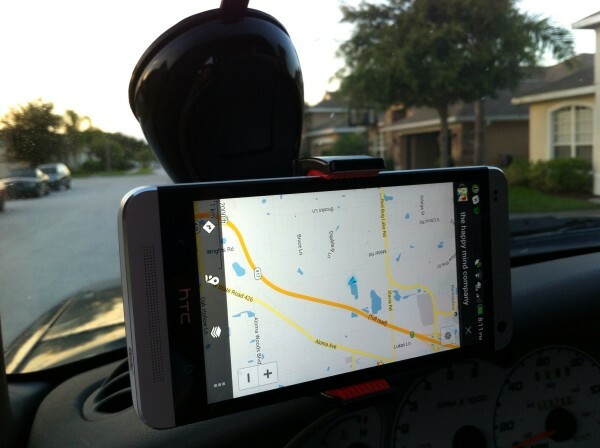 Very cool car mount! The Montar would look great in my car!